Khargo: Furniture and Design: A Trick that works a Treat! A Trick that works a Treat! 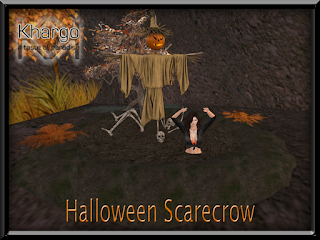 To celebrate the arrival of our new Khargo Halloween Market, this weekend we're taking part in My 60L Secret sales event. 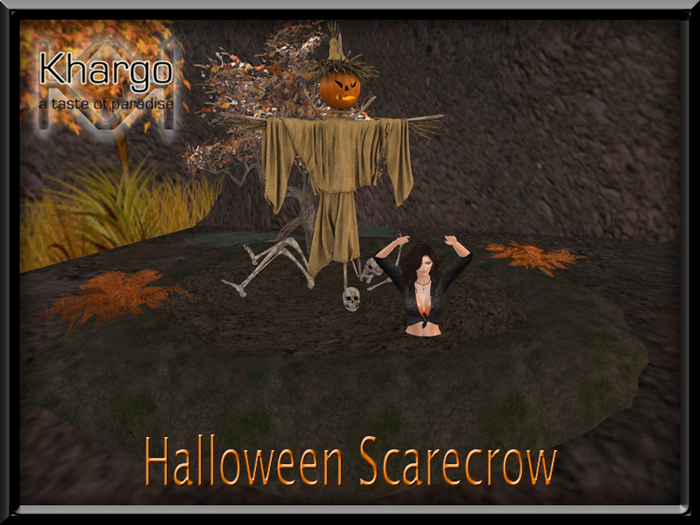 For this event we're offering our animation change Halloween Scarecrow. Normally priced at L$130, this item is available at our Halloween Market and on the Marketplace at the reduced price of 60L for a limited time only. Surprise your visitors! Sit on the scarecrow to hide then choose your animation to rise up and scare your victims guests. See this item and our other creepy creations in world at our Halloween Market!